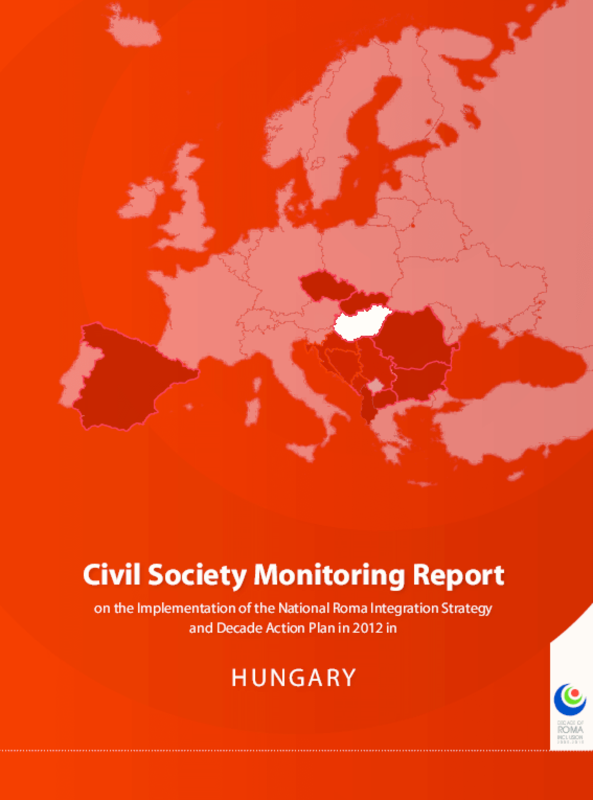 In autumn 2012, the Decade of Roma Inclusion Secretariat Foundation commissioned the Hungarian Civil Consortium to review the first year of the implementation of the National Social Inclusion Strategy of Hungary (hereinafter referred to as NRIS1or the Strategy), with a special focus on the actions and policies targeting Roma inclusion. All the findings are based on interviews, document reviews and citizen consultations that served as a forum for Roma and pro-Roma NGOs, municipalities and representatives of Roma self-governments. The Hungarian Strategy targets several vulnerable groups, for example children, people living in less developed regions and also Roma. Thus, it follows the "explicit but not exclusive targeting" principle, congruent with the 10 Common Basic Principles of Roma Inclusion. Nevertheless, the lack of a very clear Roma focus may pose challenges to a successful and robust policy-making, while various interventions in sectoral policies (for example, change of legislation, launching of programmes, etc.) and partial interventions launched in parallel may further weaken the efforts made in favour of Roma inclusion and the Strategy's implementation.